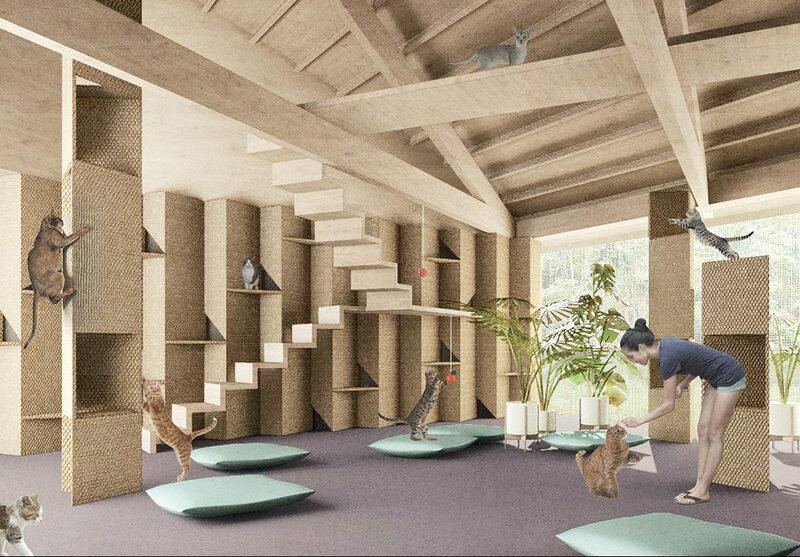 These are Coffey Architects’ vision in relation to RIBA’s competion for a new RSPCA Animal Centre of the Future. 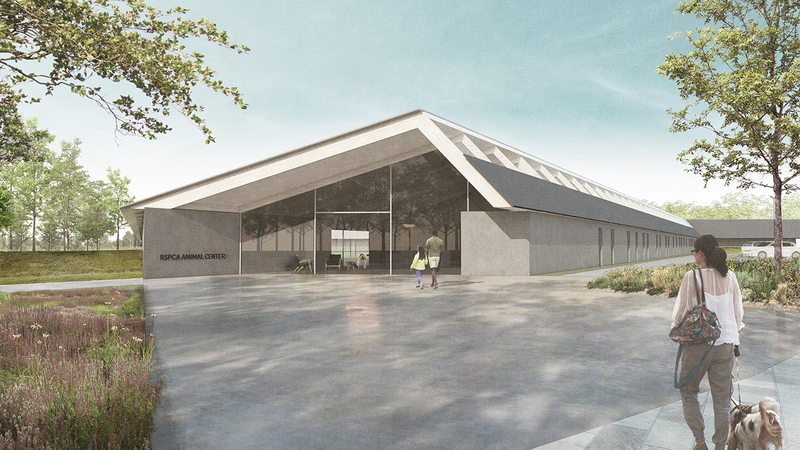 The scheme proposes a new kind of animal centre, a prototype that can be rolled out across new and existing RSPCA sites. 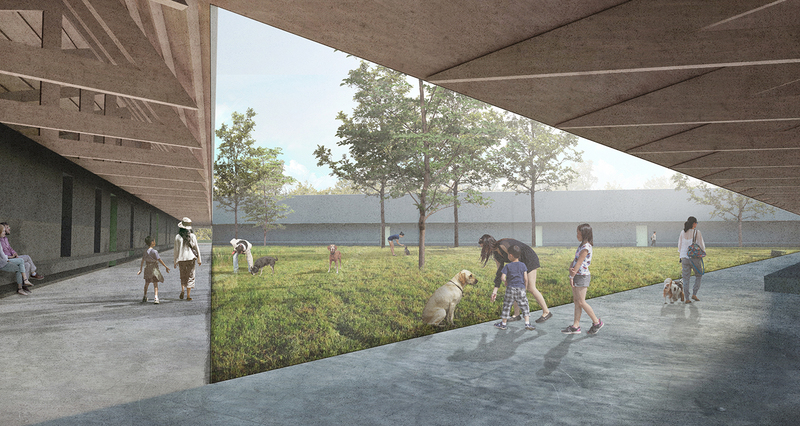 It has a simple layout that prioritises the welfare and safety of the animals combined with solar orientation to facilitate a carbon positive building. A structural system built for sustainability and adaptability. Economic use of repetitive modules under a simple sheltering roof. Cats, dogs and humans plus small animals, each have one side of a triangle, with their own circulation. This creates relaxed environments for the animals while maintaining a practical, efficient layout. External areas for each species provide a stimulating view out from each pod, and enriching places for the animals to exercise and play. 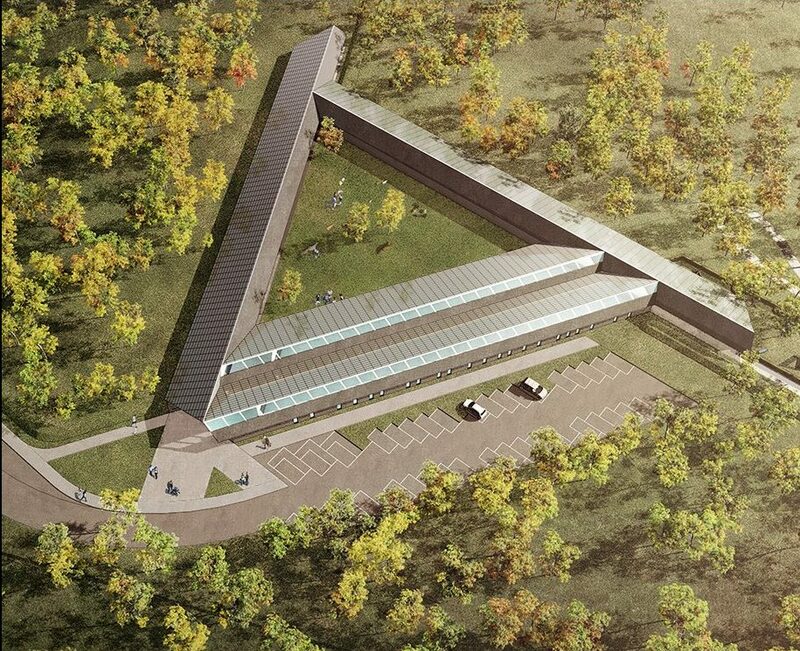 The triangle shape optimises exposure to sunlight. The dogs face south west for afternoon sun, the cats face south east for morning sunshine and shelter from prevailing winds. The roof provides shading from summer sun, and is angled to maximise the efficiency of the energy generating photovoltaic roof panels. 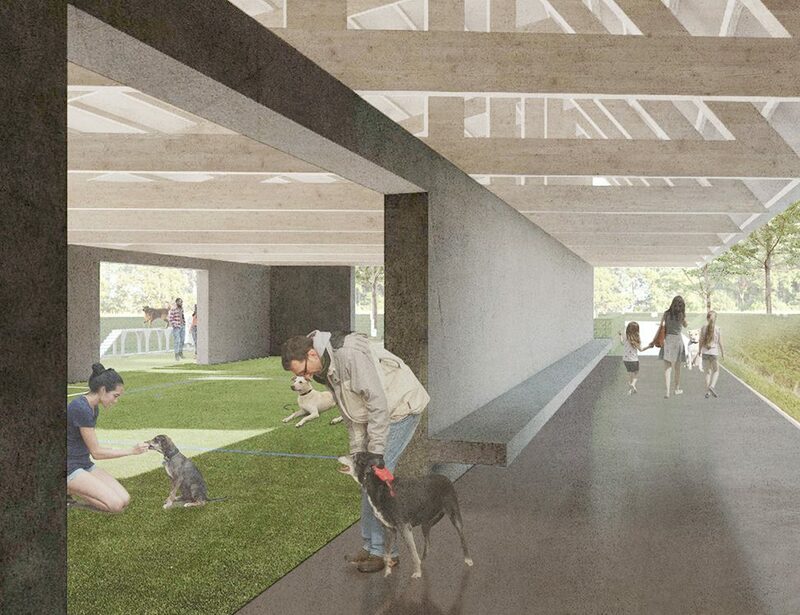 A sheltered and secure open space at the heart of the triangular layout provides a place that people and animals can enjoy together. The simple roof can be extended to accommodate a growing population within each wing. The roof structure is independent and separate from the partitions and animal pods. 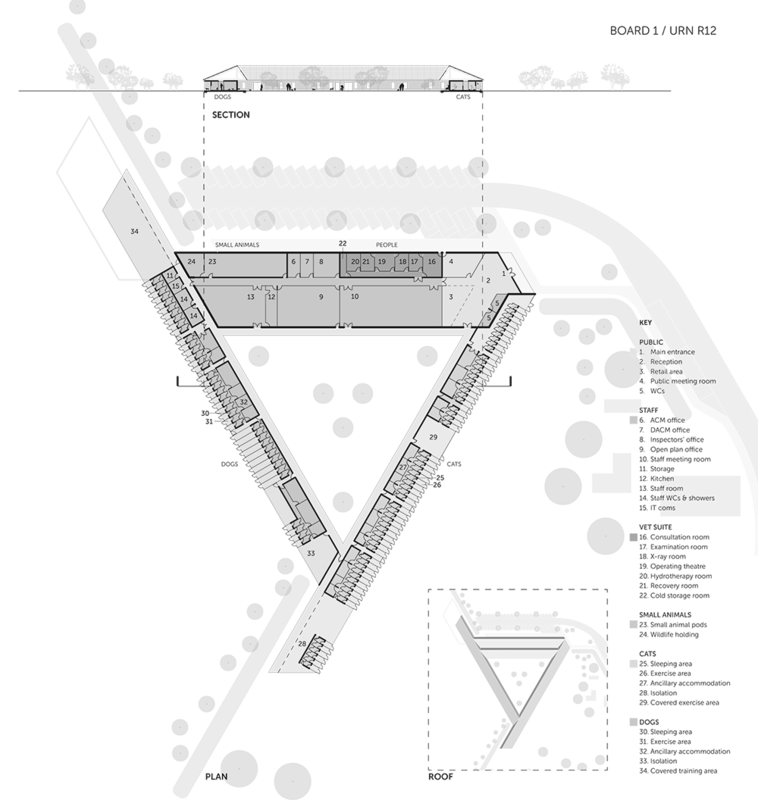 This allows for extension and adaptation as the size and needs of the centre and its occupants changes. The centre is a beautiful and peaceful place that people and animals can share together. 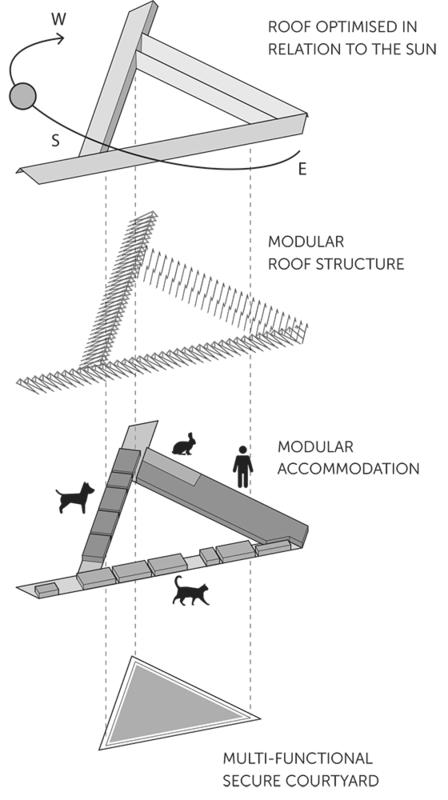 The triangle creates a natural division between the different types of animals as well as creating a sheltered and secure courtyard that people and animals can enjoy together. The scheme offers great exercise areas for the animals to ensure optimised welfare. The proposals suit many of the RSPCA’s existing Animal Centre sites without amendment. Reconfiguring the modular elements would allow the proposal to adapt to suit sites where there are different requirements. 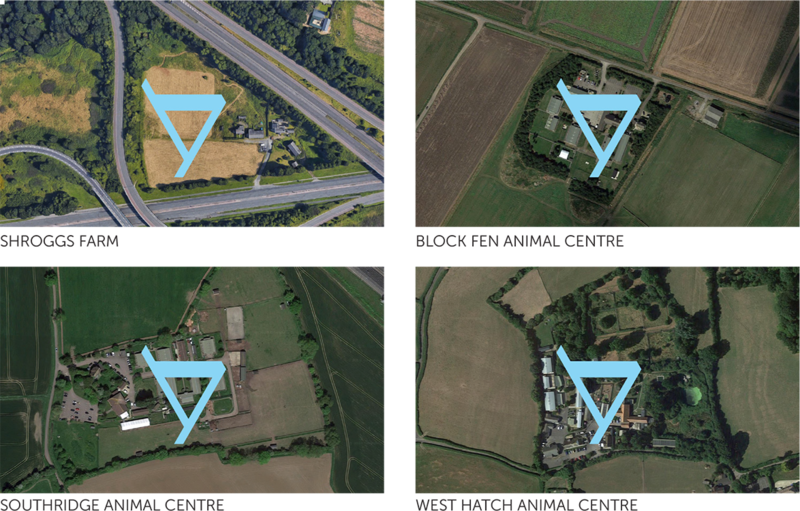 The bold plan, visible from aerial mapping could become integral to the identity of the RSPCA.